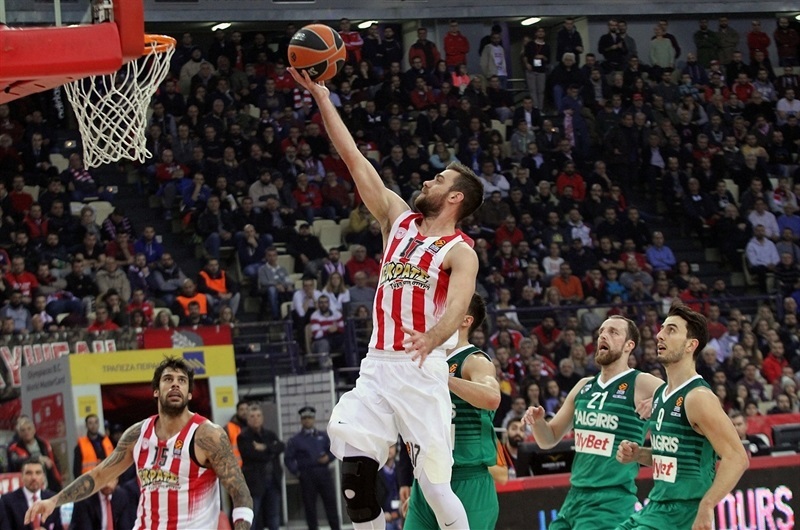 Olympiacos Piraeus continued its winning run at home and widened its margin as one of the top three teams in the league after pulling away late and beating Zalgiris Kaunas 73-64 at Peace and Friendship Stadium on Friday night. It was the 11th win in the last 13 games for the Reds and their seventh straight home win, which improved the team to the league's second-best record, 16-6. Zalgiris dropped to 9-13 on the season. 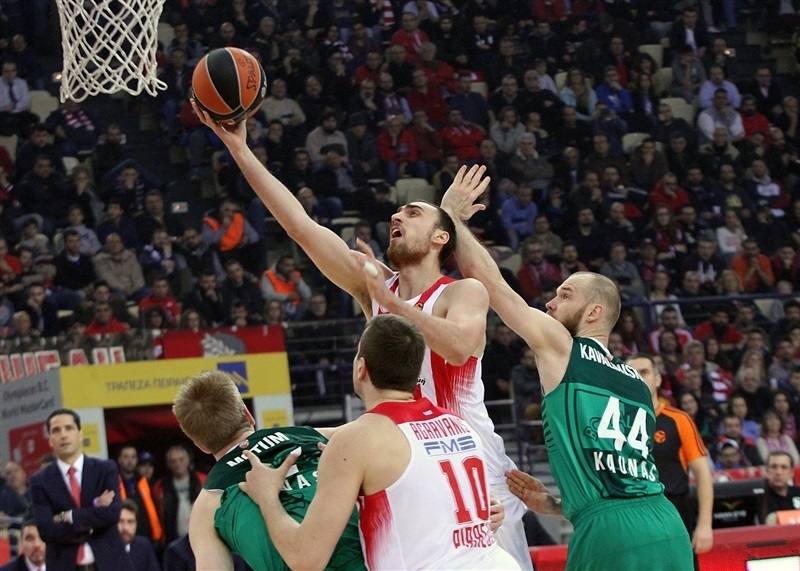 Olympiacos never had a lead bigger than 4 points until the fourth quarter, and behind Matt Lojeski and key baskets from Georgios Printezis and Vassilis Spanoulis, opened an unsurmountable 10-point margin with 80 seconds to go. 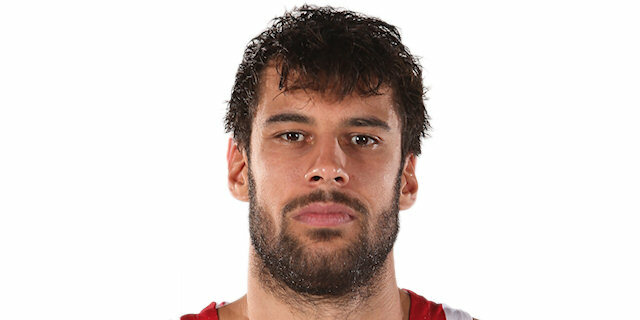 Printezis finished with 17 points and 10 rebounds to lead the way. 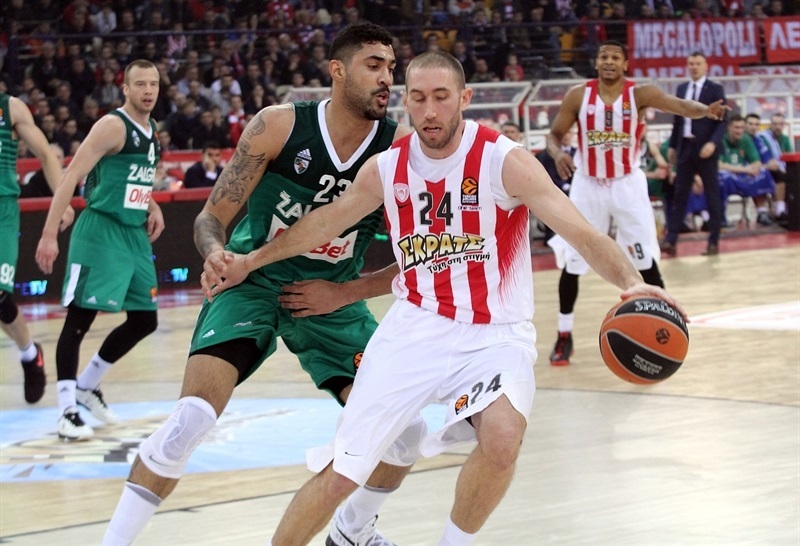 Lojeski scored 12, and Spanoulis had 11 points in victory. Lukas Lekavicius scored 11 for Zalgiris and Paulius Jankunas added 10 in defeat. The teams traded punches from the start. 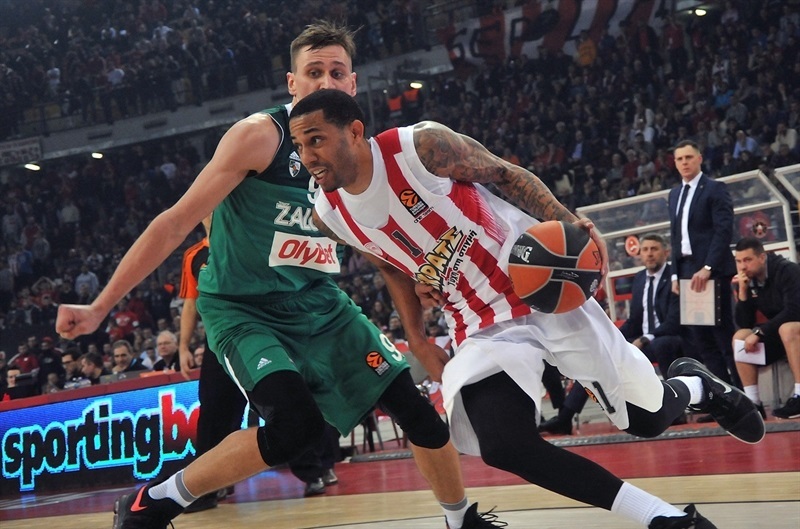 Printezis scored 10 consecutive points for Olympiacos, before Erick Green hit a triple to give the hosts a 19-15 edge. But Lukas Lekavicius tied it before the end of the first quarter, making it 19-19. In the second Brock Motum hit a three to help give Zalgiris a 21-25 advantage. Waters hit 3 consecutive long jumpers for the hosts, but Zalgiris stayed in front thanks to floaters by Lekavicius on the other end to keep Zalgiris ahead. 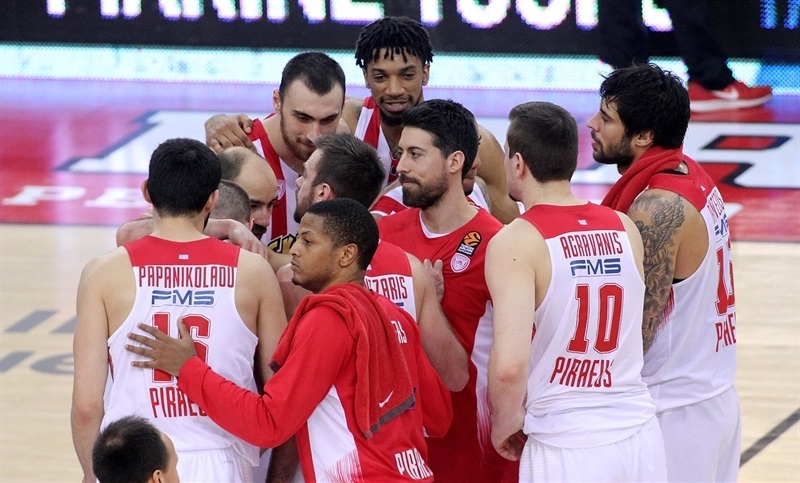 Lojeski hit a tough three for Olympiacos, and Spanoulis banked in a long triple at the halftime buzzer to tie it at 35-35 at halftime. 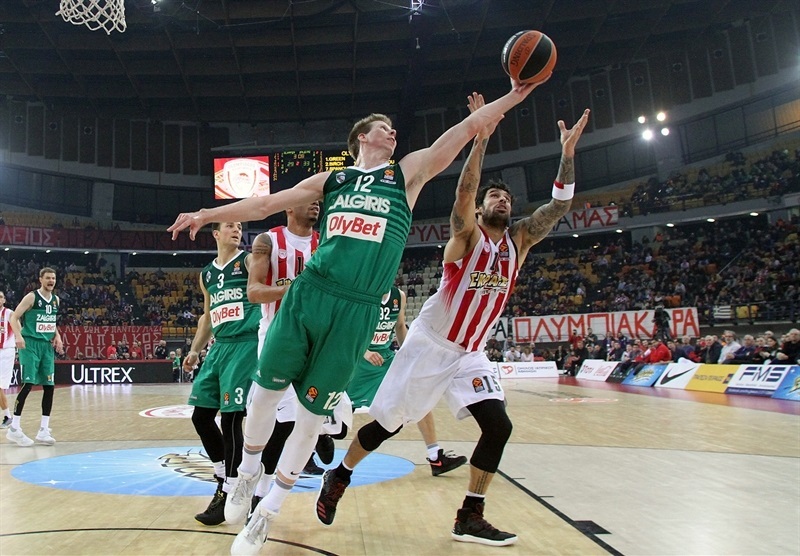 After the break, triples from Leo Westermann and Lekavicius helped give Zalgiris a 41-45 lead, but Olympiacos replied with an 11-2 run, sparked with back-to-back threes from Printezis and Spanoulis, but Lekavicius dished one of his 5 assists for a Jankunas dunk, and then beat the third-quarter buzzer with a three-pointer to make it 56-54 going into the final quarter. In the fourth, Lojeski scored 7 consecutive points, including a corner three to open a 64-57 advantage. 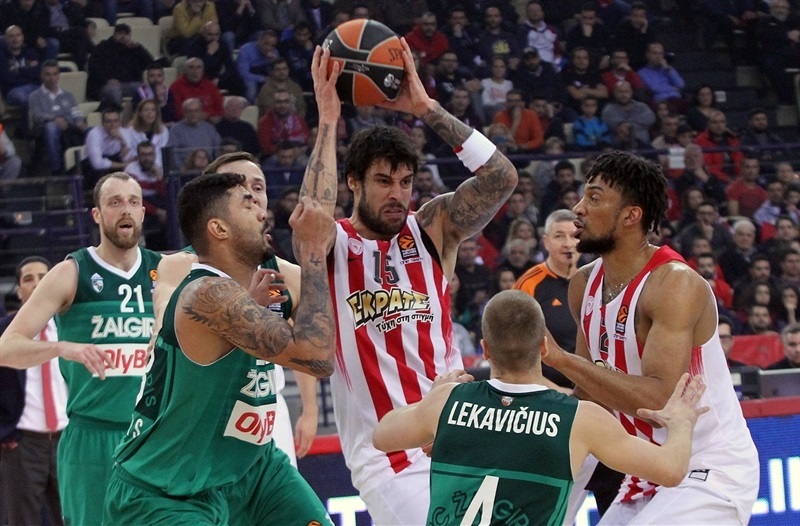 Zalgiris kept fighting, but Printezis scored inside, Khem Birch had a tip-in, and Spanoulis drained a long three-pointer to make it 71-61 with 1:20 to go and wrap up the victory. "This is a very important win for our team because we played against a tough team that fights all the game, and especially in this period that they are in a good momentum with three wins in a row before this game. We knew it would be a close game, and we fought body to body against them until the end. In the second half we improved our individual defense a lot, and we had better motion on offense, moving the ball. As a result we allowed only 29 points in the second half, and we scored 38. I think our defense was the key one more time to win the game, especially the last quarter when they scored only 10 points. Congratulations to our players, this is one of the most important wins this season. And we have to continue focusing only one game at the time. " "For most part we played a very good game, I thought. We followed the game plan. I think the breaking point was the third quarter when we made lot of mistakes as far as not making fouls on time. We got into the bonus early, and offensively we lost a little bit of aggression and an idea where we want to go with the ball. On the other hand, here is very difficult to play. 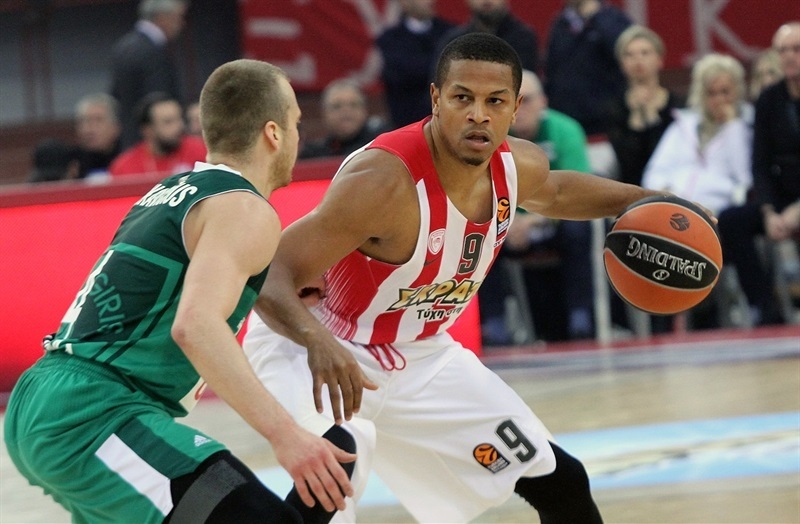 Olympiacos is a very good basketball team, and in general I am very happy how my team fought." 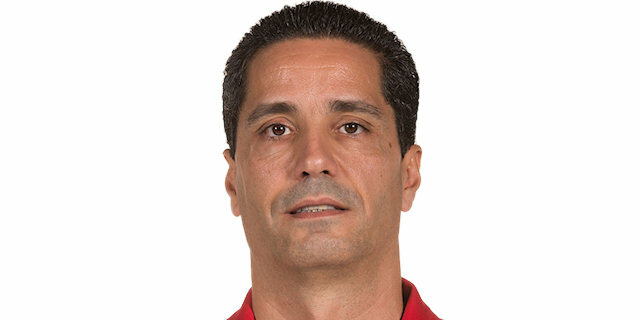 "We expected a very difficult game. 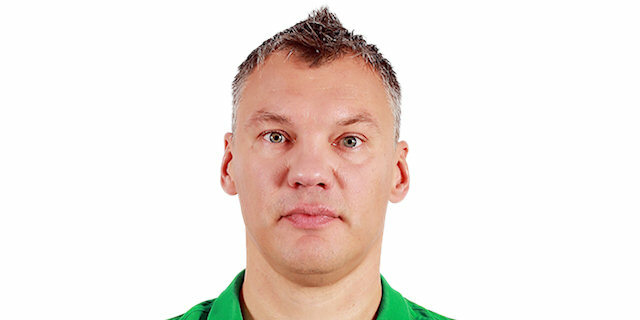 We knew Zalgiris is a very good team, with good chemistry and especially they have played well in the last few games. We controlled rebounds, we tried to run and we ran sometimes. We got some easy points from fast breaks. We played better defense, we improved our defense in the second half. Those were the keys to win the game. We played with much more energy, this was a game we really wanted to win. It was a home-court game, that’s why you have to play with more energy to dictate the rhythm and to win the game easier."